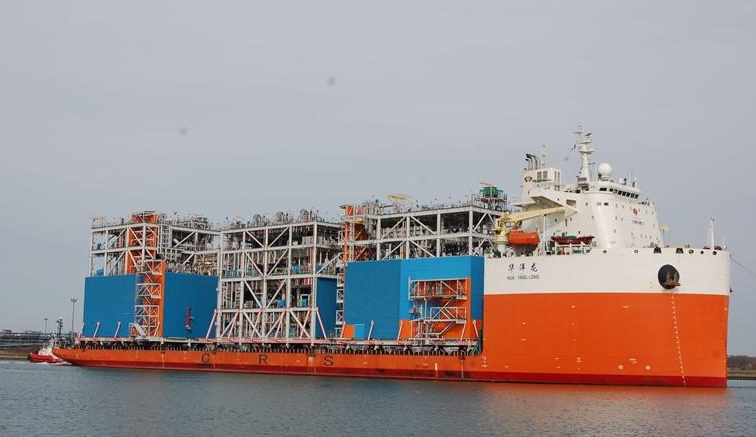 It is thought that the Hua Yang Long and Hua Hai Long vessels are awaiting orders to pick up cold-stacked rigs in Cromarty Firth and transport them to scrapyards. Both vessels are currently at anchor, according to tracking website Marine Traffic. Website data indicates Hua Yang Long arrived at its present location on December 28, followed by Hua Hai Long on January 2. A number of rigs have been holed up in Cromarty Firth due to a lack of demand for their services during the downturn. Port of Cromarty Firth (PCF) said in November that income from storing the structures had boosted its income in the year to December 31, 2016. Oil and gas industry work in 2016 accounted for 76% of all revenue at the Invergordon-based PCF. On average 12 rigs were stacked in the firth during the year.